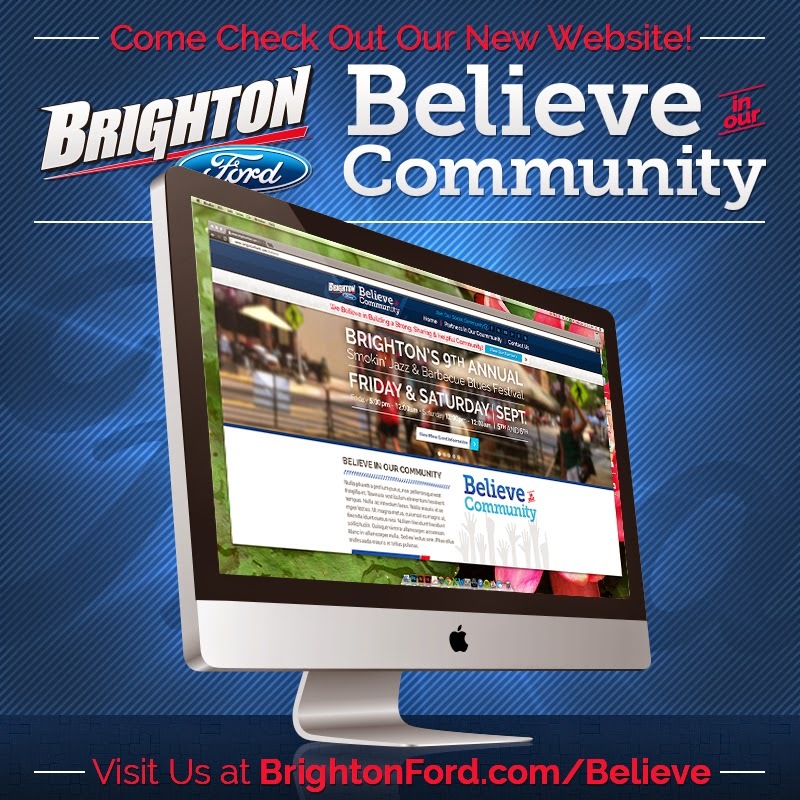 Brighton Ford : Our NEW Believe in Our Community Site is LIVE! Our NEW Believe in Our Community Site is LIVE! BRIGHTON, Mich - At Brighton Ford, we sincerely believe in our community and want to do all that we possibly can to continue to make our local community a great place to live. We are ecstatic to announce that our NEW Believe in Our Community Site is LIVE! This website is a tool to help increase awareness about local organization events and volunteer opportunities around Livingston County. On this site you will also find our new Community Calendar! This will serve as your go-to source for information about all of the upcoming events in the area. We encourage you to contact us about any events that your organization is hosting or participating in and we will post them onto our calendar! Questions? Feel free to contact our Community Relations Manager, Karen Swieczkowski! Are you interested in becoming more involved within the community? You can join us and become a partner! Visit BrightonFord.com/Believe today to learn more! Brighton Ford is located at 8240 Grand River Ave. just north of I-96 in Brighton. We are a family owned and operated business that strives for customer satisfaction. For more information on Brighton Ford visit BrightonFord.com or give us a call at (800) 836-8206. DIY Summer Activities for Kids!